For those who have owned a regular speaker or home cinema/audio system, but still want to control them via voice, Amazon released a new small device that adds Amazon Alexa to your regular speaker or home cinema system. It connects by plugging in a 3.5mm aux-in cable or connection via Bluetooth that turns it into an Echo. This new small device is called the Echo Input which is available on Amazon now. It's equipped with far-field microphones that support voice control after connecting your external speakers. So here we conclude 5 reasons why you should consider buying an Amazon Echo Input. 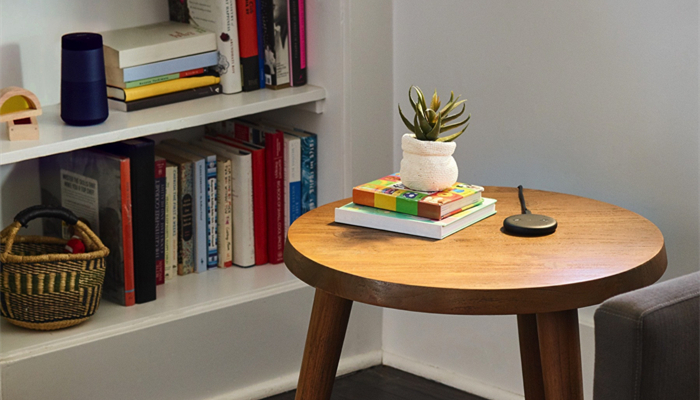 With the Amazon Echo Input, you can turn your regular or old speaker into an Alexa speaker. Rather than purchasing a new speaker supporting voice control, the Echo Input can add Alexa to any ordinary speakers. For example, you can connect your Tronsmart Element T6 or Element Force to the Echo Input. When you give a command to Alexa the blue light on the Echo Input lights up to indicate that she’s listening, but the sound will come from your Element T6 or Force. Now your regular speaker has become an Alexa speaker and allows you to ask for the latest weather in your hometown, Hawaii or wherever. You also can ask Alexa to play a song, read the news or check the traffic. 2. With the far-field microphone, it provides an easier user experience than Google Chromecast Audio. Google’s Chromecast Audio is a dongle that you can plug into any speakers to stream music from the internet, but you have to use a phone, tablet, or PC as a controller for Chromecast Audio devices. Instead of using this kind of limited connection, Amazon’s Echo Input has a far-field microphone which supports voice control to stream music easily, even across the room or when music is playing. There are two different ways to connect the Echo Input to your existing speaker. The first is Bluetooth which means that you can have the input wirelessly plugged in. This is great for those who don't want to connect with messy wires. The second way to connect is via the 3.5mm audio cable which allows you to add Alexa capabilities to your favorite older speaker without Bluetooth capabilities. It's also a backup option if the Bluetooth connectivity isn’t working for some reason. Tronsmart’s speakers including Element T6, Mega, Force, Force+, Groove, Blaze, Pixie and more all support both Bluetooth and auxiliary connection. Therefore if you have owned our speakers, what you just need is a small Echo Input to experience Alexa voice control. 4. Slim, low-profile design fits almost anywhere. With the slim palm-design, 3.1 inches diameter and 0.5 inches height, the Echo Input is ready to go with you anywhere. 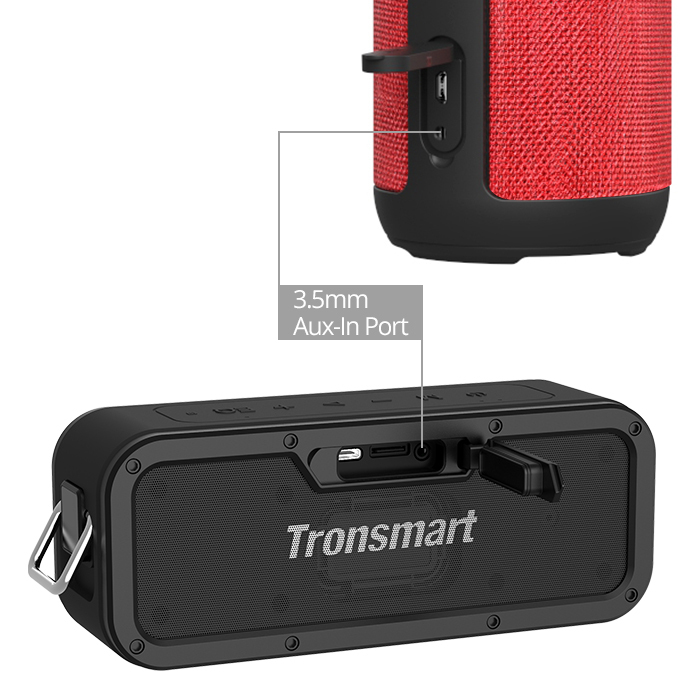 Go with the Tronsmart’s portable speaker and make your life easier anywhere. 5. Establish your smart home system by combining other smart devices. If you have other smart devices like the smart bulb, plug or switch that is connected to the Alexa app around your home, you could use the Echo Input and your external speaker to voice control them. For instance, “Alexa, dim the lights.” It's a really convenient and easy way to set up your automation home system as long as you own the Echo Input plus your existing ordinary speaker. Check the following links to learn more about Tronsmart Element Series Bluetooth Speakers, which are supported to become Alexa-enabled smart speakers.